With summer fast approaching, you’ll soon be in the throes of planning your summer library program. 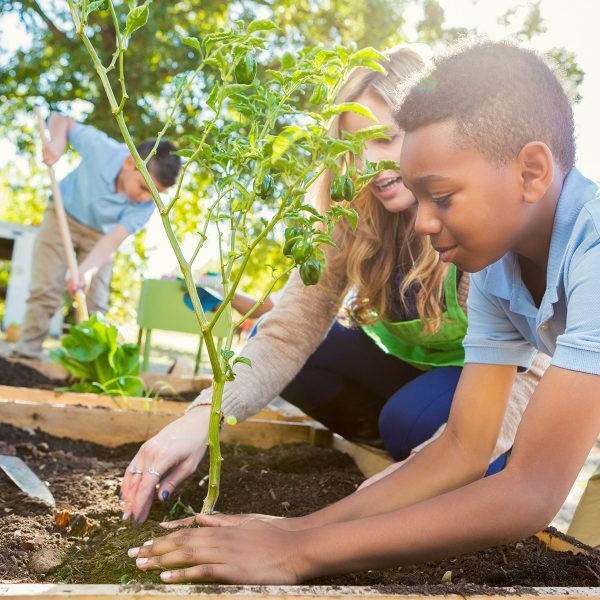 Are you looking for activities that will not only keep kids engaged and excited to come to your program, but will also allow them to help others and motivate them to volunteer in the community? Look no further! 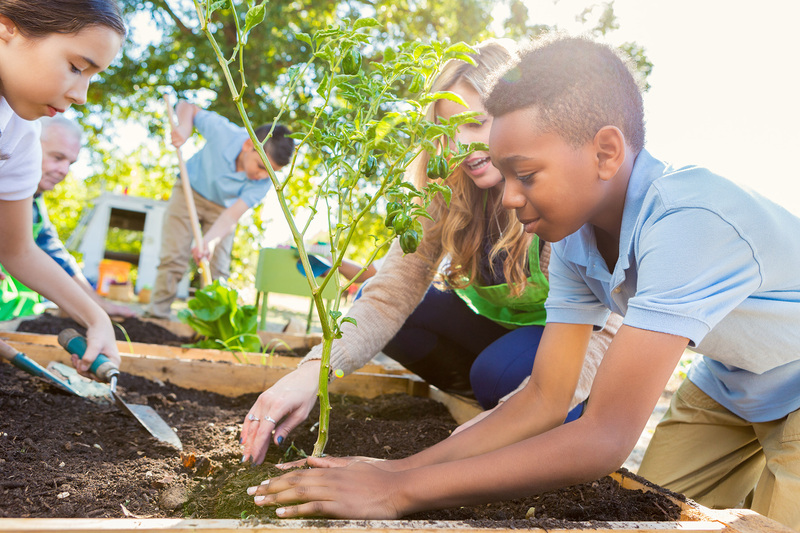 These six activities will inspire kids to make a difference! This is a simple, inexpensive and meaningful way to encourage kids to make a difference in the lives of others. Operation Gratitude is a nonprofit organization whose primary mission is to encourage and lift the spirits of members of the U.S. military and first responders. 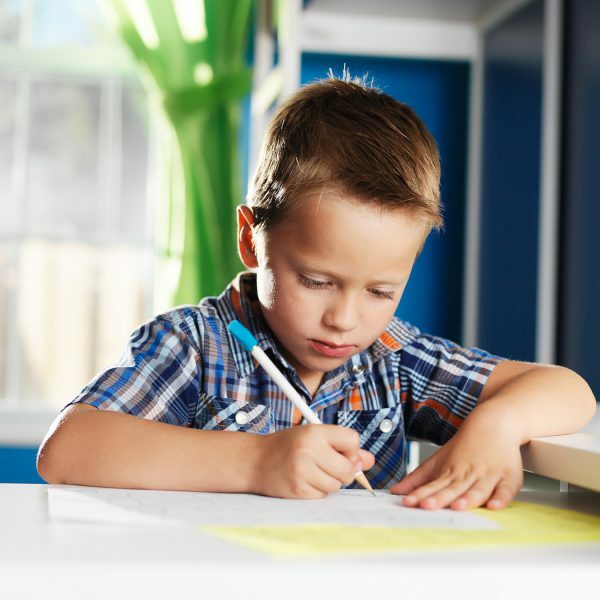 Provide stationary and writing utensils (or construction paper and crayons for younger kids), and hold a letter-writing workshop. Encourage kids to thank the recipient for everything he or she does to keep us safe. For tips and guidelines, visit Operation Gratitude (be sure to review the section on what to do if the letter writer is under 18 years old). Hold a series of knitting workshops for teens to make caps for chemotherapy patients and/or hats and scarves for members of the military. Knots of Love donates cozy, handmade caps to cancer patients who are experiencing hair loss as a result of chemotherapy. At Knots of Love, you’ll find knitting patterns and guidelines on how to donate. Operation Gratitude, in addition to letters, sends care packages to military members far from home and gratefully accepts donations of handmade scarves and hats to include in their wintertime packages. Visit Operation Gratitude’s Scarves for Troops page for information and patterns. While knitting programs can be costly, you might want to reach out to a local hobby store for donations of materials. You may also want to invite someone from the store to attend your workshop to give a knitting tutorial. Or contact a local senior center and ask if any local seniors enjoy knitting and would be willing to host a workshop at the library or senior center. If you like the idea of donating handmade goods to help others but don’t have the means to hold knitting workshops, another option is to have kids make no-sew fleece blankets. Project Linus collects and donates homemade blankets to children in need throughout the United States. Blankets are given to hospitals, shelters, social service agencies and anywhere else that children may benefit from the warmth and comfort of a blanket that has been handmade with care. Various patterns, including fleece, are available at www.projectlinus.org, along with instructions on how to donate. Many other fleece patterns are available online, including a no-sew “braided” blanket at Pieces by Polly. Volunteer and collaborative gardening projects help communities have better access to healthy produce while building fellowship among community members. Share a book like Barbara Pollak’s Our Community Garden to explore the idea of community gardens, and then share a title like It’s Our Garden by George Ancona to show all the steps that go into maintaining a community garden. If possible, have a local master gardener or other gardening expert come talk to children about planting seeds. Provide seeds, soil and gardening tools. Have children work together to create their own community garden. If the library has access to sufficient outdoor space, transform a plot of land into a garden; if the library does not have access to outdoor space, use recyclables (e.g., empty milk jugs) for container gardening. Don’t forget to label which plants are which! 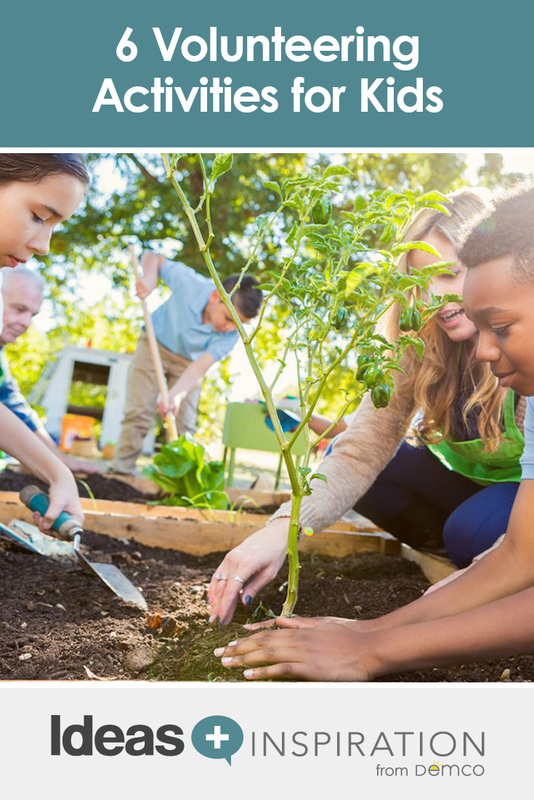 Share the fruits of your garden with community members and invite parents to participate. Check out “Transforming Your Library with a Garden” by Katie Lewis for ideas and inspiration. Collect nonperishable food items in your library for a set period of time. Be sure to advertise your food drive on your library website and/or Facebook page. Ask a local grocery store to donate paper bags or reusable cloth bags, and have kids decorate them and write slogans on them. At the end of the food drive, let kids help you fill the bags with the items you have collected. Then, donate the bags of food to a local food bank. 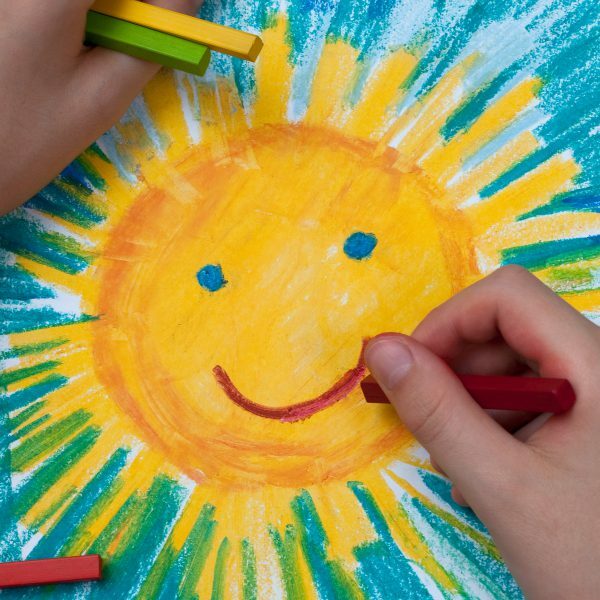 Another option is to donate drawings through Color A Smile, a nonprofit organization that distributes cheery drawings to senior citizens and overseas members of the military to bring joy to those in need of a smile. 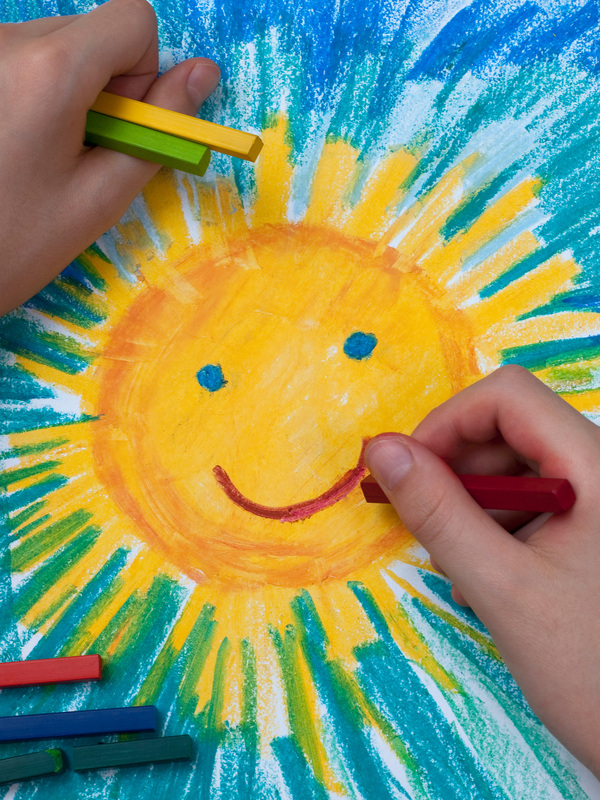 The website offers hundreds of coloring pages that can be printed, colored and mailed. These are just a handful of ideas to introduce kids to the idea of volunteering — what programs have you done that inspired kids to help others? Share your ideas in the comments below.